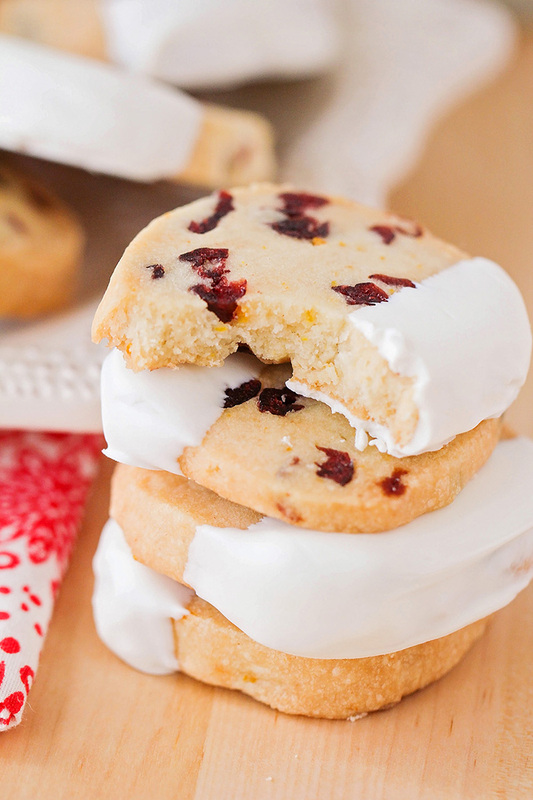 These cranberry orange shortbread cookies are rich and buttery, with the perfect contrast of flavors and textures! 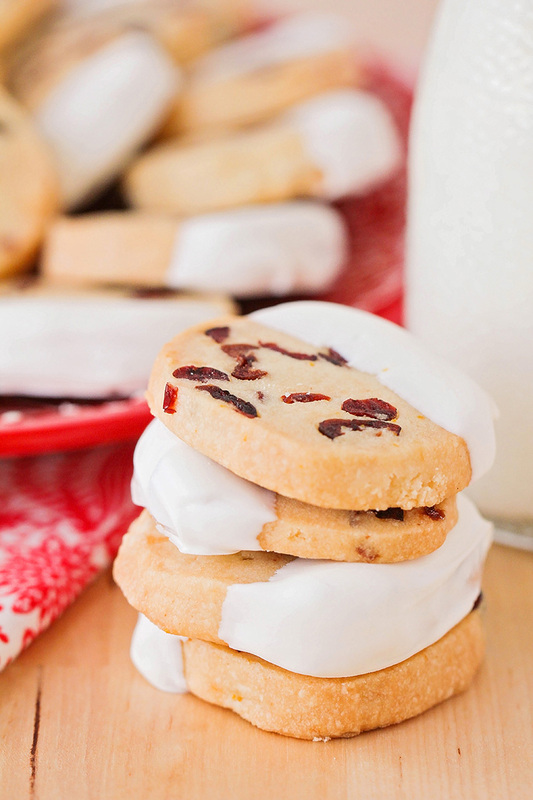 I know that technically the Christmas cookie season is over, but these cranberry orange shortbread cookies are too delicious not to share! If you can't tell, I've been on a total shortbread kick lately (see here and here). It's so easy to make, has just a few ingredients, and tastes delicious! I love that there are endless variations, and they all turn out fantastic. This particular variation has an amazing combination of flavors, with the cranberry and orange playing off each other beautifully. I also love that they are dipped in white chocolate. 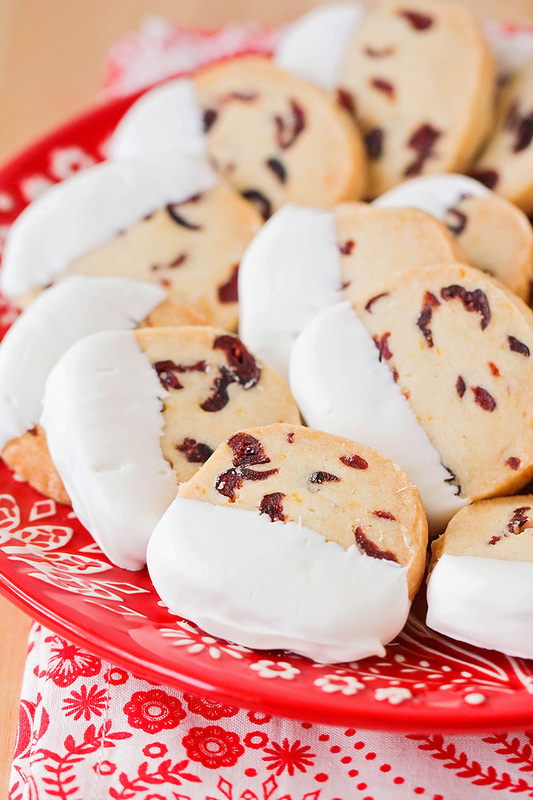 The smooth and creamy white chocolate complements the buttery cookies really nicely. Yum! These cookies keep really well, so they're perfect for making ahead of time. You can also freeze half of the dough for later, if you just need a small batch. I like to roll the dough into a log, wrap it in parchment, then place it in a ziplock freezer bag. It stays fresh until I'm ready to bake, and I can have fresh cookies with basically no effort. That's always a win in my book! In a large bowl or the bowl of a stand mixer, beat together the butter and powdered sugar until light and fluffy. Add the orange zest, vanilla and orange extract, and mix until combined. Add the flour, salt, and dried cranberries, and mix to form a thick dough. Shape the dough into a log that is approximately 2 inches in diameter. Wrap in parchment or plastic wrap, and freeze thirty minutes. Near the end of the chilling time, preheat the oven to 325 and line a baking sheet with parchment or silicone. 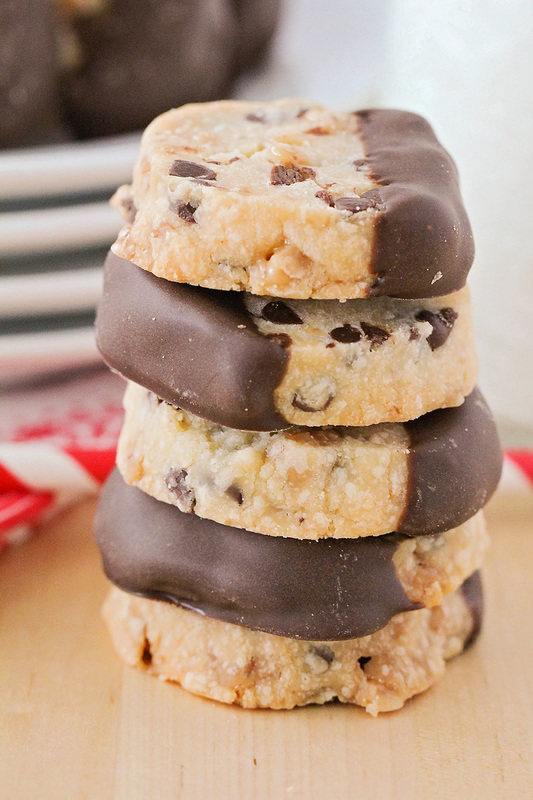 Slice the cookie dough into 1/4 inch slices, and place 1/4 inch apart on the prepared baking sheet. Bake 18-20 minutes, or until light golden brown around the edges. Remove from oven and let cool completely. After the cookies have cooled, melt the candy melts according to the package directions. 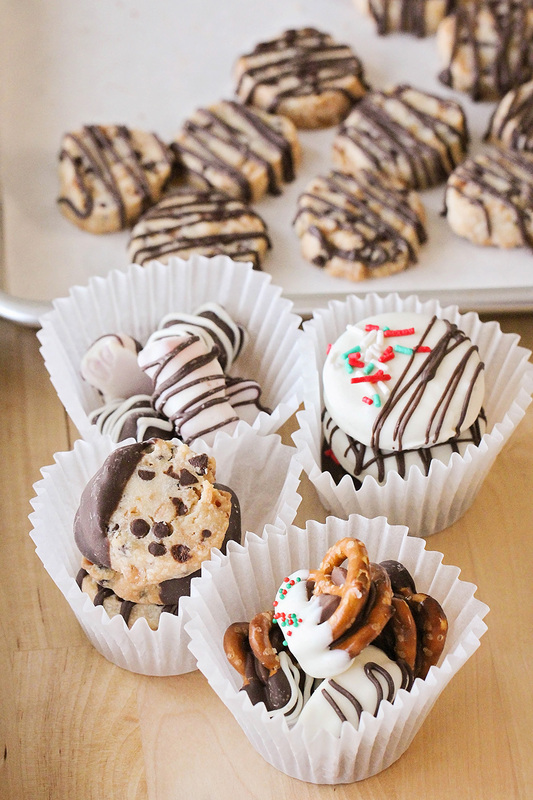 Dip each cookie into the candy melts and place on a parchment lined baking sheet to cool. Store in an airtight container. 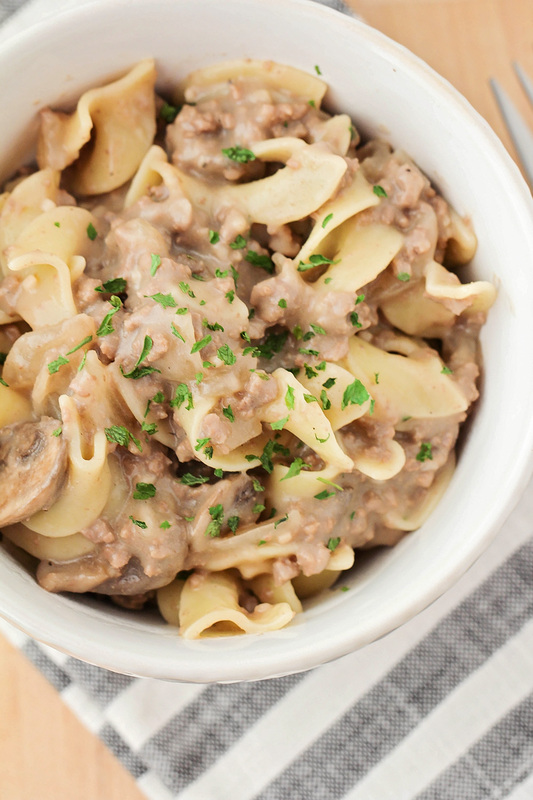 This delicious and simple hamburger stroganoff is ready in under thirty minutes, and the perfect meal for a busy weeknight! I've been buying giant boxes of chicken breasts for the last six months or so, but a few weeks ago I bought my first box of ground beef. I didn't grow up eating a lot of ground beef (I can probably count on one hand the number of times my mom bought it when I was a kid) so I'm still learning the ins and outs of cooking it. My family has been loving simple casseroles lately, so I thought it would be fun to try a hamburger stroganoff. My kids totally loved it! They even asked if they could have it in their school lunches the next day, which is always the mark of a great meal. 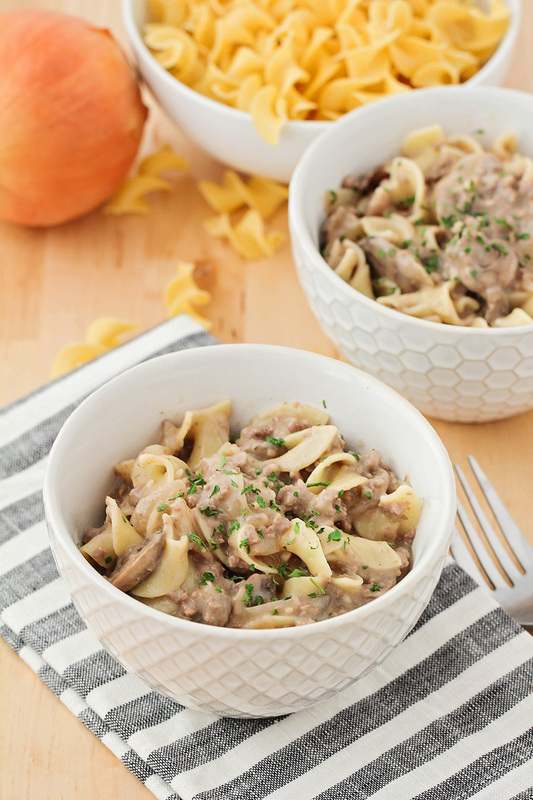 This stroganoff is definitely not the fanciest meal in the world, but it's easy, tasty, and inexpensive. We paired it with some steamed broccoli and sliced apples on the side, and it was a great meal! I've still got another 39 pounds of ground beef left in my freezer, so I'm sure you'll be seeing more beef recipes around here in the future. Let me know in the comments if there are any ground beef recipes you absolutely love, because I am totally in need of ideas! Heat a large skillet over medium heat. Brown the ground beef, breaking into smaller pieces with a spatula, until cooked through. Drain the grease, then add the onion and mushrooms to the skillet. Cook until the onions are translucent and the mushrooms are softened. Add the flour and stir to combine. Allow to cook for 1-2 minutes. Slowly add the beef broth, stirring constantly to prevent lumps. Add the Worcestershire, salt and pepper, and stir to combine. Bring to a simmer and cook 10 minutes, or until thickened. Remove from heat and stir in the sour cream. Add the egg noodles to the skillet and stir to combine. Serve hot. 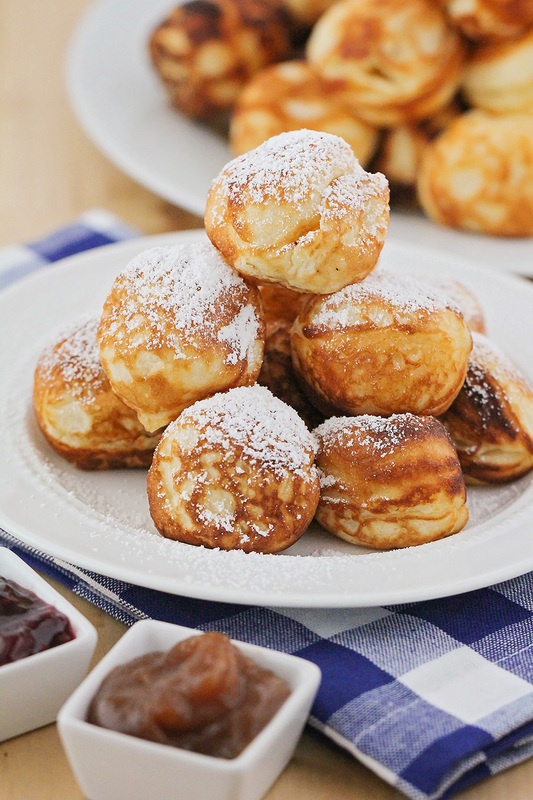 These Danish aebleskiver (pancake balls) are so delicious, and the perfect special occasion breakfast! When we moved to Portland last year, we were delighted to find that we live near a delicious Nordic restaurant called Broder. They are my husband's first choice for breakfast and brunch whenever we have a free morning, and although I was a little skeptical at first as to whether I would like the food, it is totally amazing! I always have a hard time deciding what to order because everything is delicious, but their aebleskiver are definitely one of my top favorites. They're crisp on the outside, light and fluffy in the middle, and lightly sweetened with powdered sugar. They come with jam and lemon curd on the side, and make for an amazingly delicious breakfast! I actually made aebleskiver at home a few years ago, but I had forgotten how delicious they are! Since we've been visiting Broder pretty regularly in the last year and a half (and it's beginning to affect our wallets a little too much), I decided it was time to pull out my aebleskiver pan and get cooking again. They were actually much easier to make than I remembered them being, and they turned out so delicious! They are like heavenly, airy little bites of pancake, with a crisp outer shell and a soft and fluffy middle. 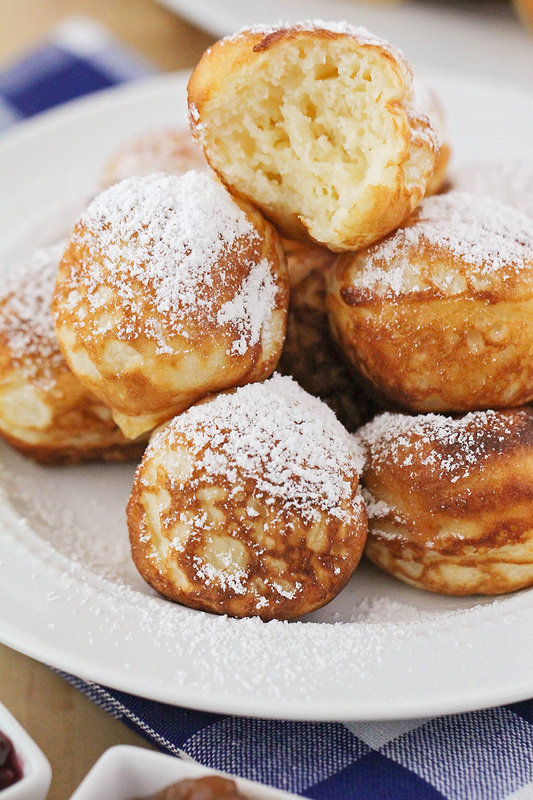 They're perfect sprinkled with powdered sugar and served with jam on the side. This time, we tried them with some cinnamon apple butter on the side too, and they were amazing together! The only thing that's tricky about making them is that you have to keep turning the batter in the pan so it forms a ball. The way I've found that works best for me is to scoop the batter into the pan, let it cook for a minute or two, then use a fork to gently pull up on the edge of the cooked batter, and turn the ball a quarter turn. Wait a minute or so, then turn it again. Keep rotating until all sides of the ball are cooked and a toothpick inserted in the center comes out clean. In my experience, it's easier to make the first two turns with a fork, then use a chopstick or a knitting needle to push the balls the rest of the way. If you're more skilled than I am, you can definitely use a chopstick for the whole process. It may sound a little complicated, but it's pretty easy once you get in the groove. Be careful also to keep your pan at a consistent medium heat so the pancake balls don't cook too fast and get burned on the outside. 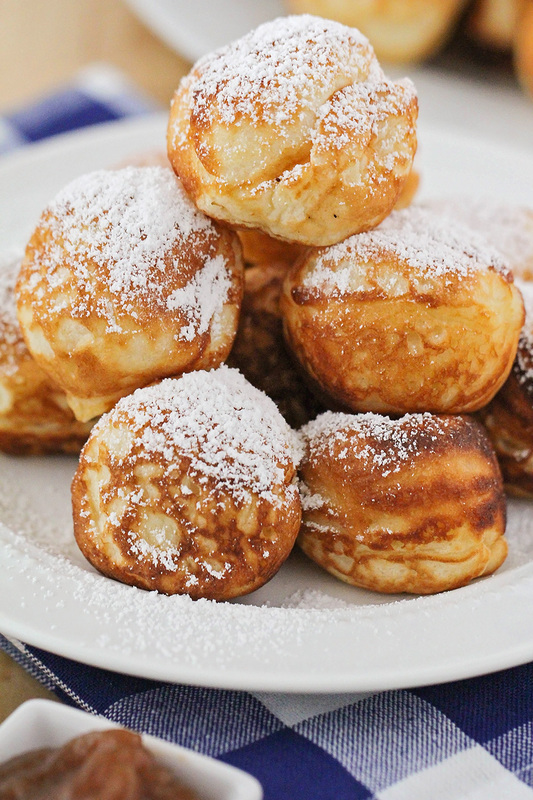 These aebleskiver are definitely going to be on the menu for special occasions at our house from now on! Beat the egg whites until stiff, and set aside. In a large bowl, whisk together remaining ingredients, then gently fold in egg whites. 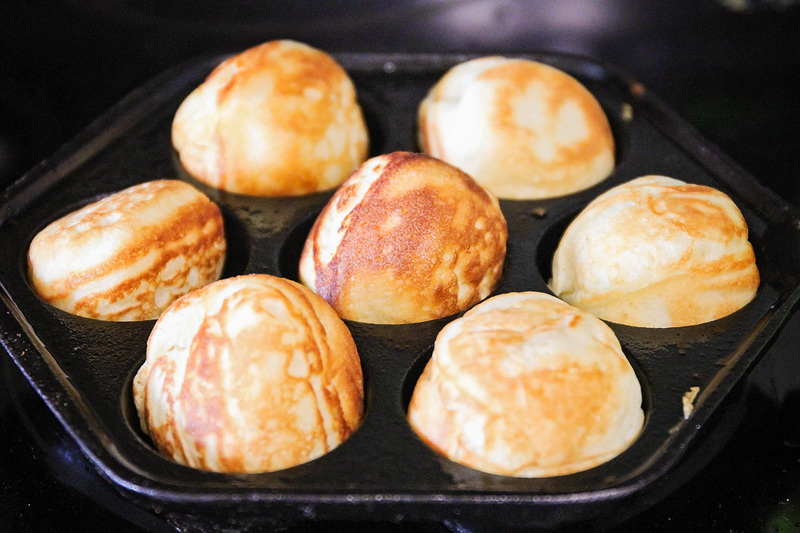 Heat the aebleskiver pan over medium heat. Add a few drops of oil to the bottom of each well of the pan, then add about 1 1/2 tablespoons of batter to each well (I used a cookie scoop to make things easier). When they start to get bubbly around the edges, use a fork or a knitting needle to rotate them about a 1/4 turn in the pan. (This part can be tricky and a little frustrating, but keep at it!) Continue to rotate the aebleskivers until they are cooked all the way around and a toothpick inserted into the center comes out clean. Remove from the pan and serve hot, sprinkled with powdered sugar, with jam on the side. These crisp and buttery chocolate toffee shortbread cookies are so simple to make, and so delicious! We're in the home stretch to Christmas, folks! Yesterday we sent off packages to both of our families, I've already bought and wrapped all of my kids' and husband's gifts, and there's nothing left to do but enjoy the season. We're planning to visit a Christmas lights display this evening, followed by some hot chocolate and donuts, and I can't wait! I mentioned earlier this week that I packaged up some treats to send in the package to my family, and these chocolate toffee shortbread cookies were some of my favorites in the package. They are crisp and buttery, with a delicious combination of toffee and chocolate flavors, and they taste amazing! Just like my chocolate chip shortbread cookies, they have just a few simple ingredients, and are so easy to make. 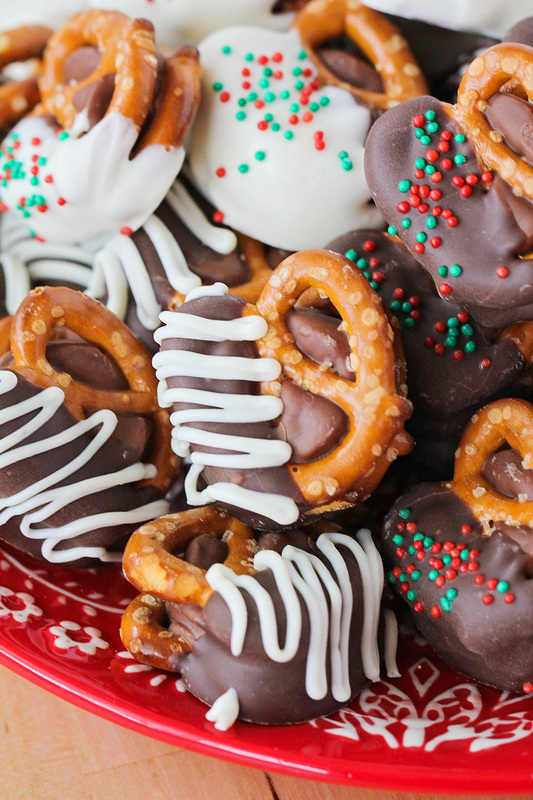 They're the perfect treat to share this season! Dipping them in chocolate is not strictly necessary, of course, but is more chocolate ever a bad thing? I like to dip them halfway, but you could also drizzle them or dip them all the way. 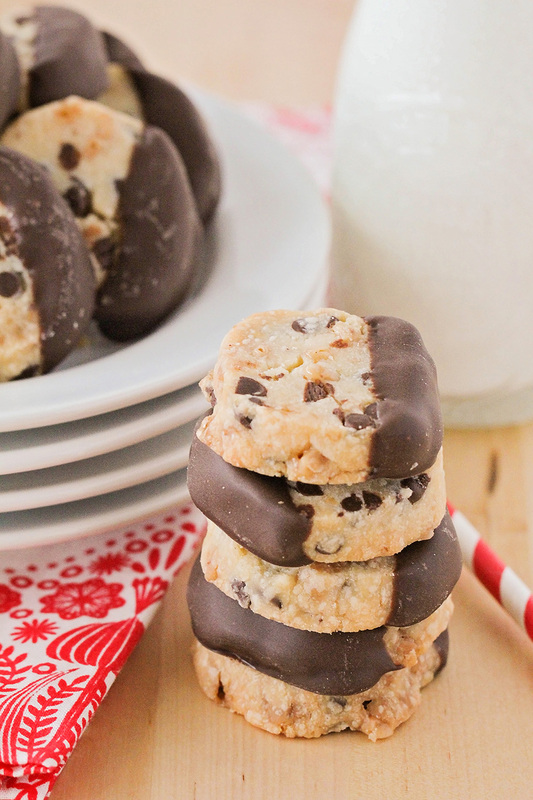 These cookies are so delicious and addicting that you won't be able to stop snacking on them! In a large bowl or the bowl of a stand mixer, cream together the butter, powdered sugar, and vanilla. Add the flour and salt, and mix to form a thick dough. 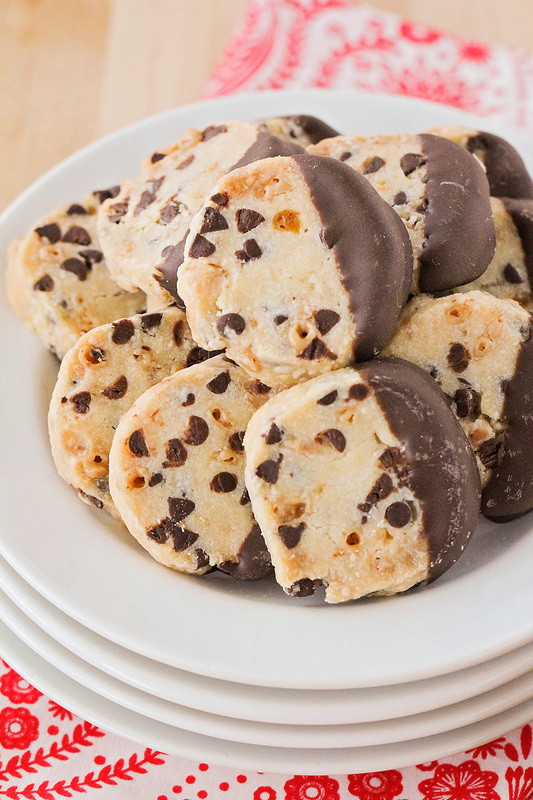 Fold in the chocolate chips and toffee pieces. Shape the dough into a log that is approximately 2 inches in diameter, wrap in plastic wrap, and chill 30 minutes. After thirty minutes, preheat the oven to 325. Slice the dough into 1/4 inch slices. Place on a parchment or silicone lined baking sheet and bake 18-20 minutes, or until lightly golden on the bottom. Let cool completely. Melt the almond bark according to the package directions, and dip the cookies into the chocolate and place on a parchment lined baking sheet to harden. I've never sent treats across the country before, and I was trying to figure out how to ensure that everything would arrive in one piece. I remembered seeing a post a while back about using empty Pringles containers for shipping cookies, and decided to try it out. It worked marvelously, and was super easy, too! 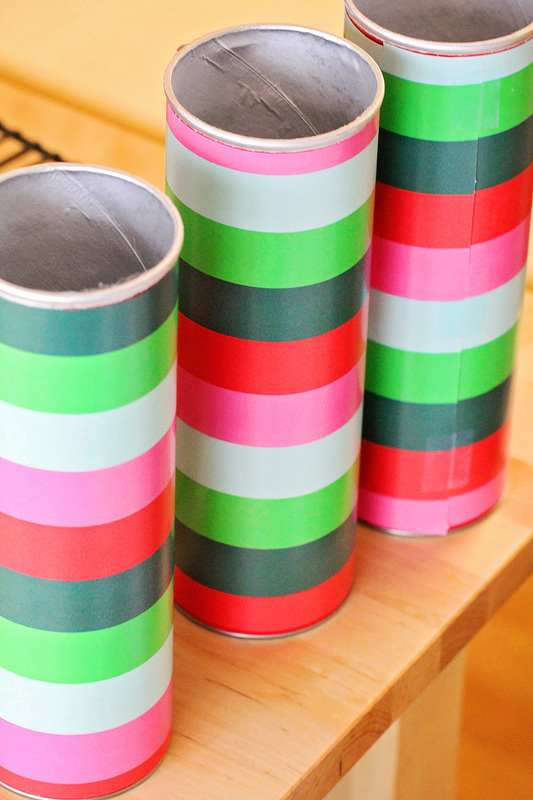 I started by wrapping the Pringles containers in some festive paper to make them cuter. Next, I separated my treats into greaseproof cupcake liners. For each can, I had a stack of chocolate dipped Oreos, chocolate dipped cinnamon bears, Rolo pretzel sandwiches, and chocolate toffee shortbread cookies. I slid each cupcake wrapper into the Pringles can (it helped to tip it sideways a little so they didn't just fall straight down), and then stacked the next on top. To finish, I added a little piece of tissue paper to keep everything snug, and then put a cute tag on the outside listening the contents. It was super easy and super cute too. I will definitely be sending treats this way from now on! These Rolo pretzel sandwiches are so easy to make and so delicious too! 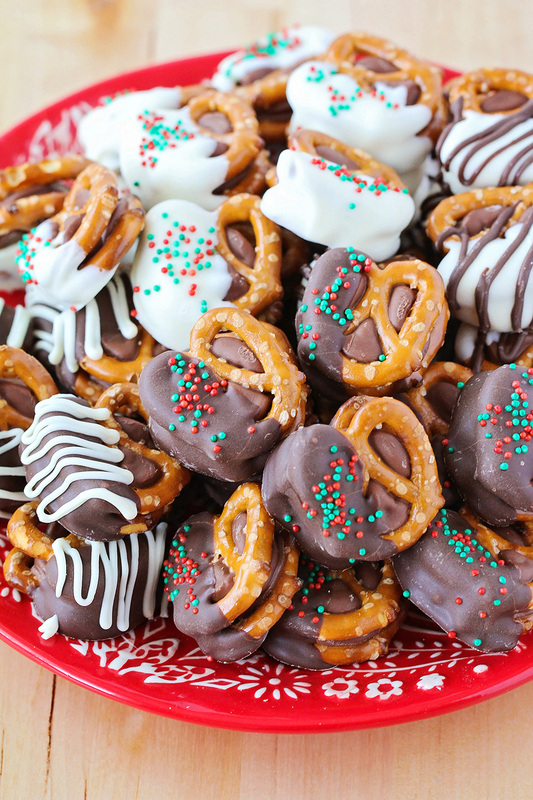 Perfect for holiday snacking or gifting! I can't believe there's only one week left until Christmas! I've been busy this last week finishing up my shopping and making lots of treats to share with friends and family. This will be our first Christmas at home in Portland, and I've been pretty bummed that I won't be able to spend the holidays with my family. To cheer myself up, I've been filling my days with Christmas activities and traditions, both new and old. One of my favorite Christmas traditions that I've established during the last few years is setting aside a day to dip all the yummy things in chocolate! We've dipped lots of different treats over the years, and they've all turned out delicious. This year, I decided to dip chocolate toffee shortbread cookies (recipe coming soon! 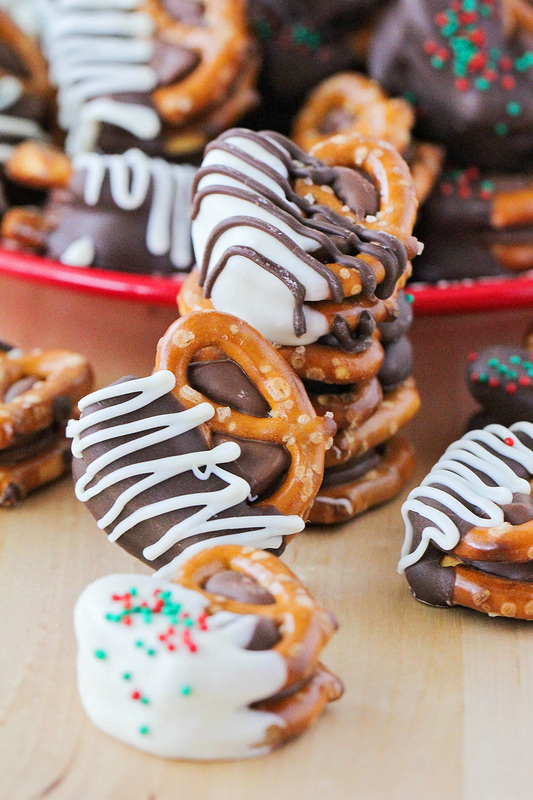 ), cinnamon bears, Oreo cookies, and these fun and delicious Rolo pretzel sandwiches. I'm hardly reinventing the wheel here, and these have been around forever, but they're too tasty not to share! They're the perfect balance of textures and flavors - crunchy and chewy, salty and sweet. They're so addicting that I would eat an embarrassing amount of them if left to my own devices, so the only solution is to make them and give them away as soon as possible. I dipped half of mine in white chocolate and half in milk chocolate, then sprinkled half of each group with holiday sprinkles, and drizzled the other half with the contrasting color of chocolate. 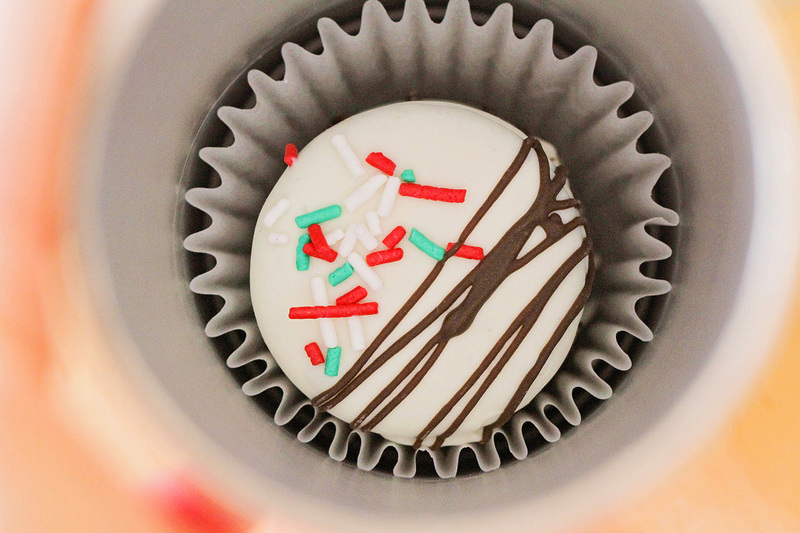 It made for a pretty and festive combination of treats! You can definitely dip them all of the way in the chocolate if you prefer, but I like dipping them halfway so you can see all of the components. These Rolo pretzel sandwiches are the perfect way to brighten up a tray of holiday treats, or to package up for friends and neighbors for a quick holiday gift. You don't even have to tell everyone how easy they are to make! Be sure to come back on Wednesday, when I'll be sharing my chocolate toffee shortbread cookies, and how I packaged up all the treats I made so I could send them to family far away! Preheat the oven to 325. Line a baking sheet with parchment or silicone. 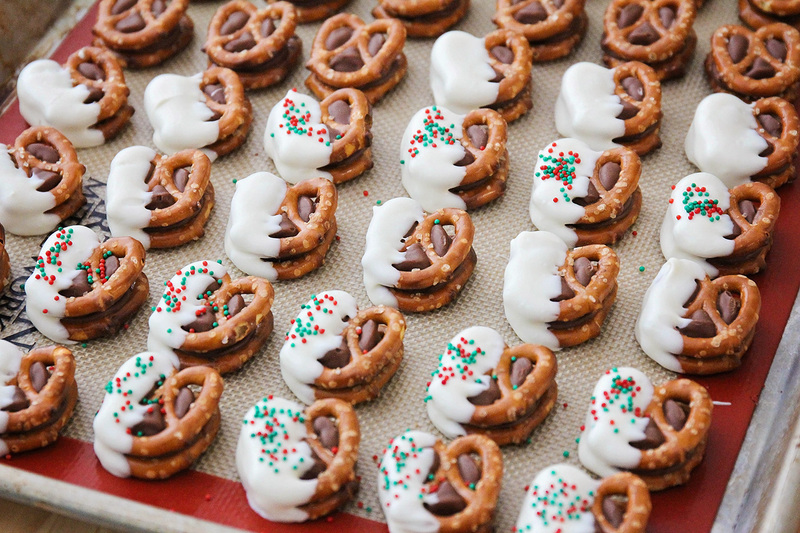 Place half of the pretzels on the baking sheet, and top each with a Rolo candy. 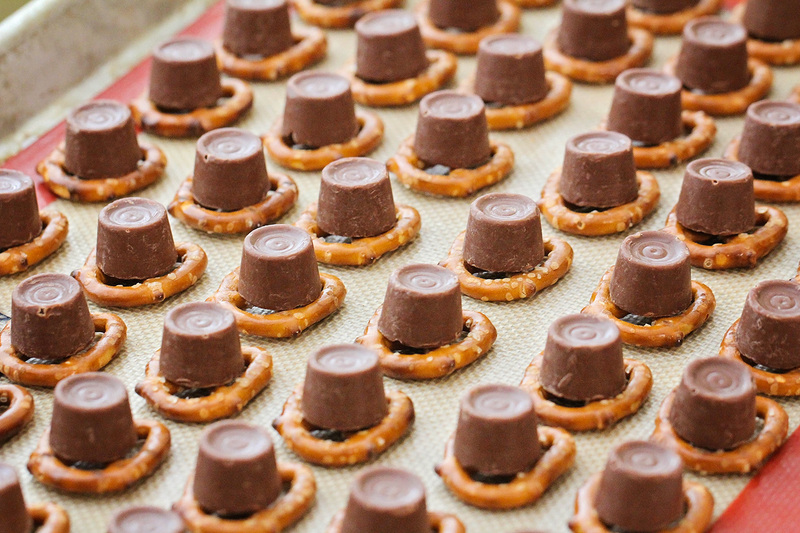 Place the baking sheet in the preheated oven for three minutes, until the Rolo candies are softened but not melted. 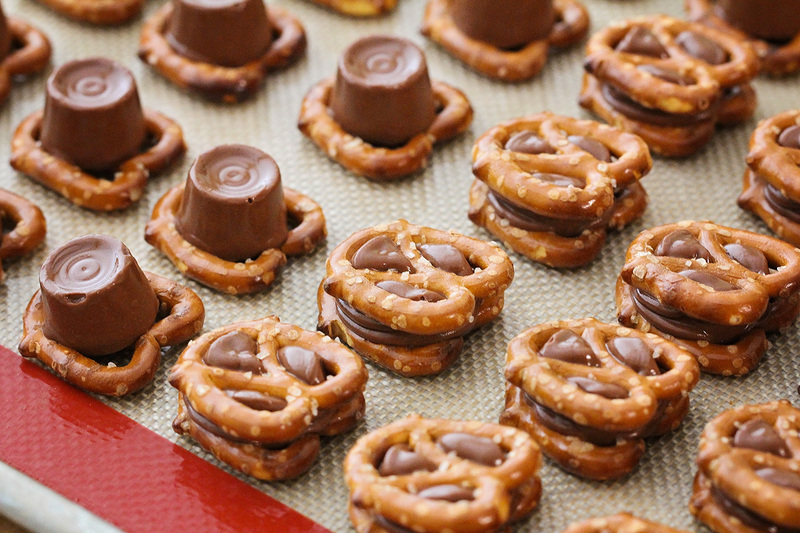 Remove the baking sheet from the oven and top each Rolo with another pretzel, pressing down lightly to make a sandwich. Let cool completely. Melt the almond bark according to the package directions. 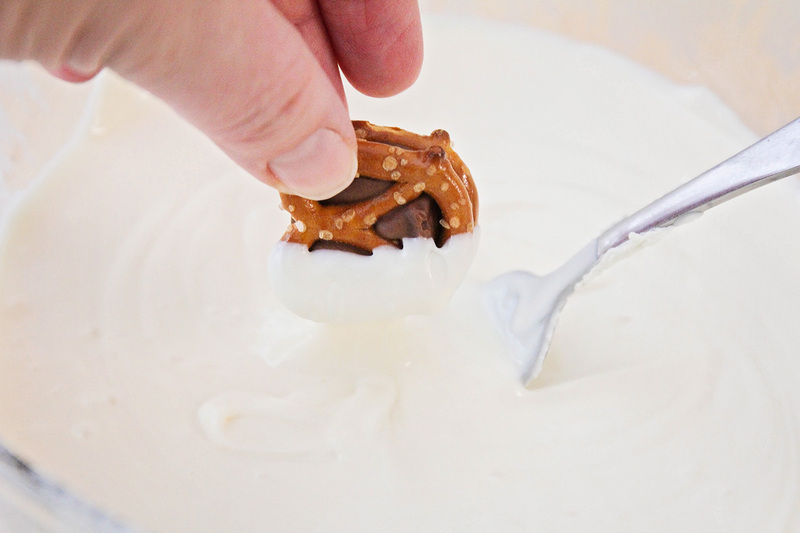 Dip the pretzel sandwiches into the almond bark (I like to dip only halfway) and let cool. Drizzle with a contrasting color of almond bark or candy melts, if desired, or add sprinkles before the almond bark hardens. Store in an airtight container. 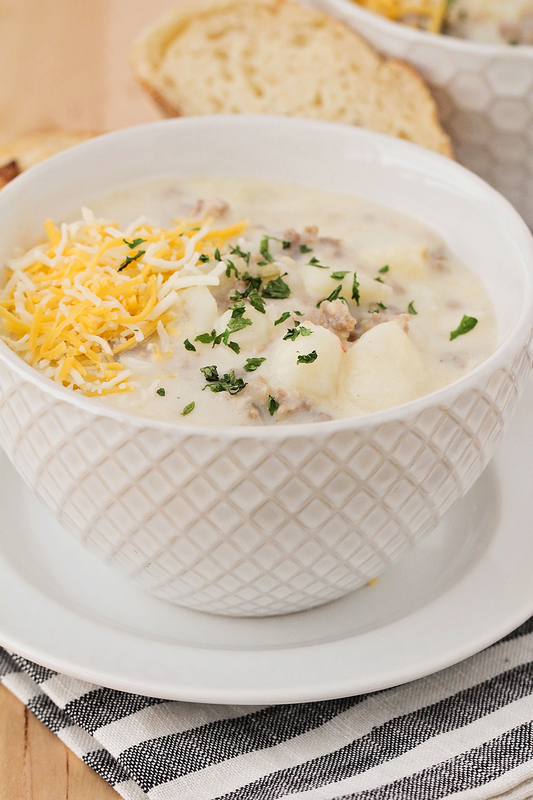 This cheesy sausage and potato chowder is a hearty and filling meal that's perfect for a cold night! 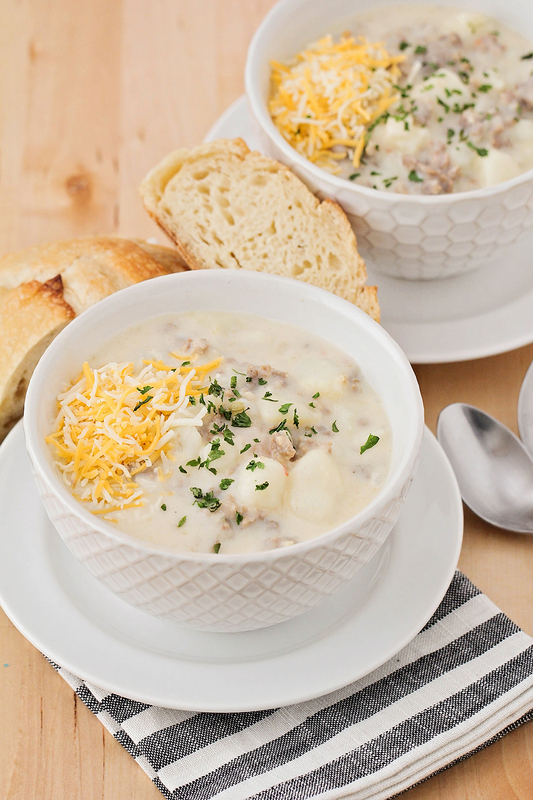 It has been super cold this week in Portland, so I have been craving all of the cozy soups! You'd think that growing up in Utah would have made me basically immune to cold (and heat), but instead I find myself whining whenever I have to wear any jacket heavier than my cozy fleece. It seems winter is finally on its way (although I'm still enjoying the beautiful fall leaves on the trees outside my house) and it's time to break out the space heater, velour blankets, hot chocolate, and all the soup I can eat! I served the soup with some crusty sourdough bread, and every single member of my family ate their whole bowl of soup. My six year old even asked if it was possible to send soup in her lunch the next day. Considering how picky she has been lately, it was a major win! 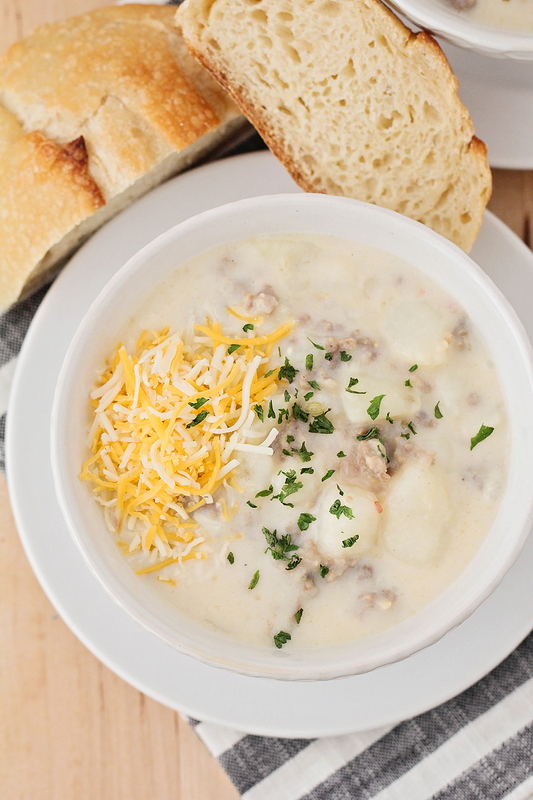 If you want to make the soup a little lighter, you could substitute milk for the half and half, or use turkey sausage instead of pork sausage. We loved it just as it was, though! In a large skillet over medium heat, cook the Italian sausage until browned and cooked through. Drain and set aside. In a large pot or dutch oven, heat the olive oil over medium heat. Add the onion, and cook until translucent. Add the garlic, and cook until fragrant. Add the sausage and chicken broth to the pot and bring to a simmer. Add the potatoes to the pot and simmer 10-15 minutes, or until cooked through. Remove from heat and stir in the salt, pepper, half and half, and cheese. Taste and adjust seasonings as needed. 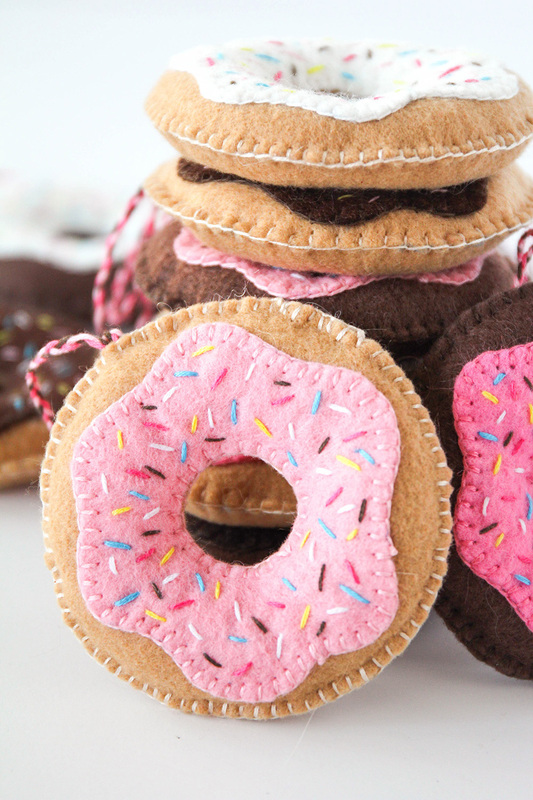 These hand-sewn donut ornaments are so adorable and easy to make, too! 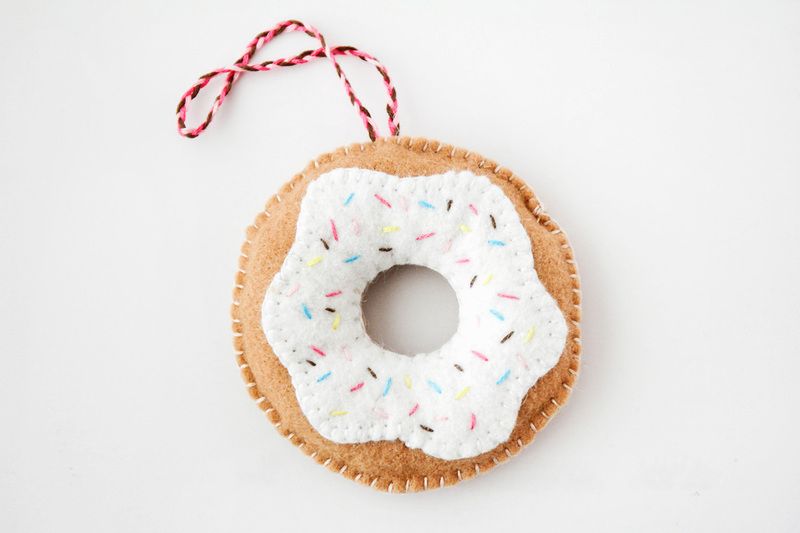 Okay friends, I mentioned before here that we decorated our Christmas tree with donut ornaments, and today I'm excited to share the cute ornaments that I made! 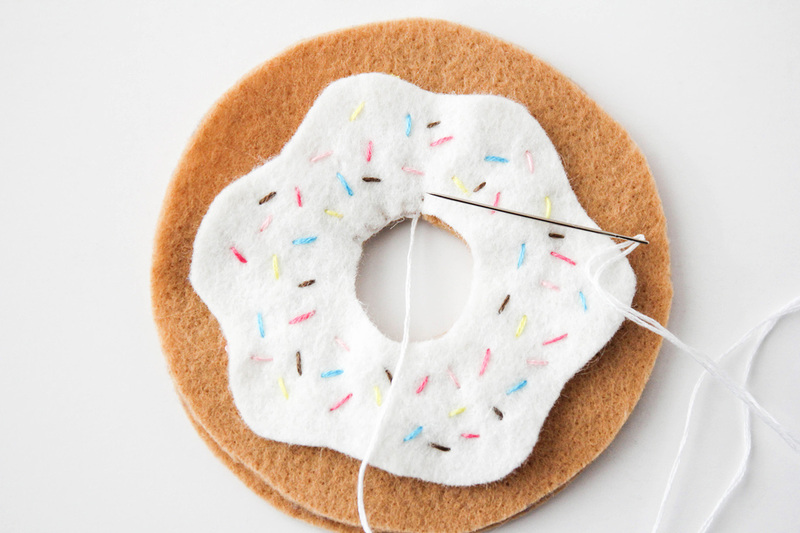 I know I usually stick to food here on the blog, but I'm actually pretty into crafting and sewing, so I figured a food-related craft would be perfect to share. 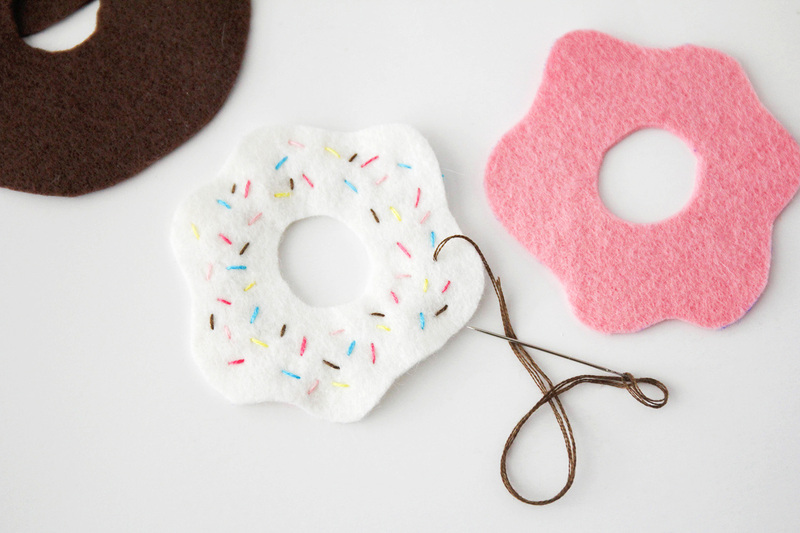 These donut ornaments are so cute, and surprisingly easy to make! I got the idea for these cuties from my niece Suzie, who taught my kids to hand-sew last year (and made me realize how remiss I have been in their sewing education). 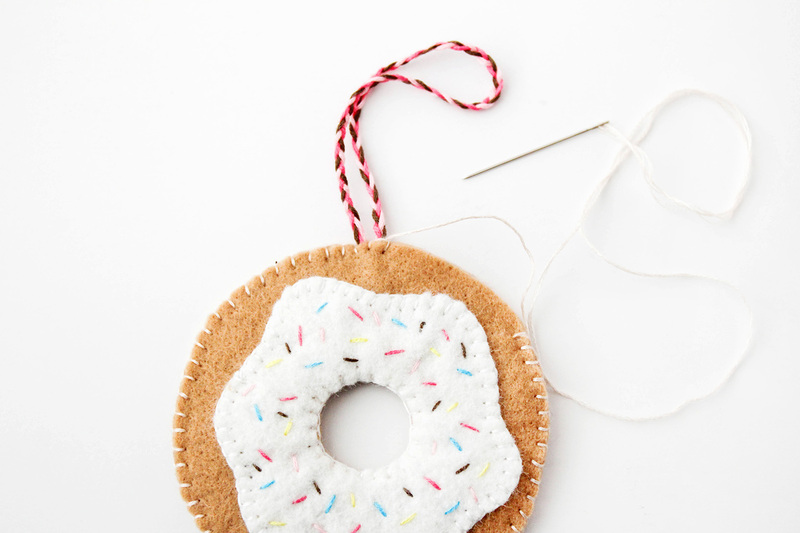 She gave us the cutest handmade donut ornament for our tree last year, and I knew that this year I wanted to replicate it and make a whole tree full of donuts! These ornaments are completely hand sewn, which makes them the perfect project to do while you're watching a movie or listening to a great podcast. Each ornament takes about an hour to make, but they go a lot faster if you assembly-line them. They are so adorable and add a perfect touch of handmade charm to the tree! 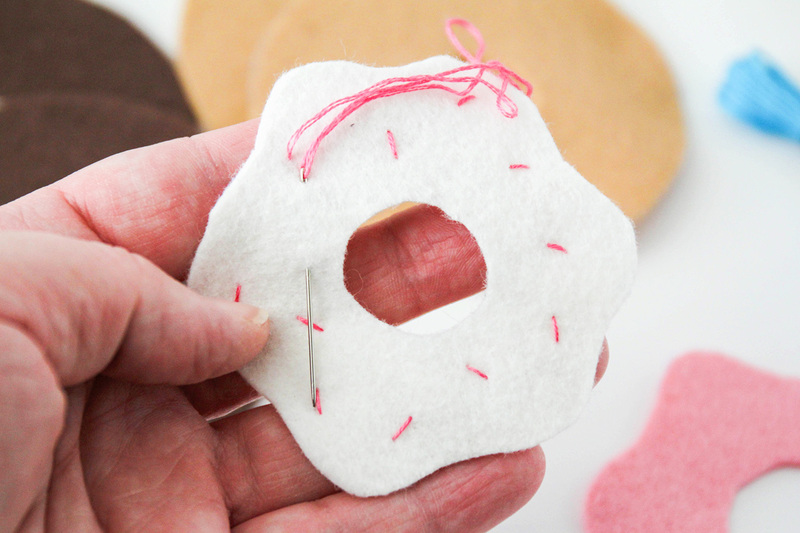 To start with, cut the pattern pieces out of the felt. We stuck with tan and brown donuts, and white, pink, and dark brown frosting, but you can go as crazy as you like with fun color combinations. They're donuts, after all! 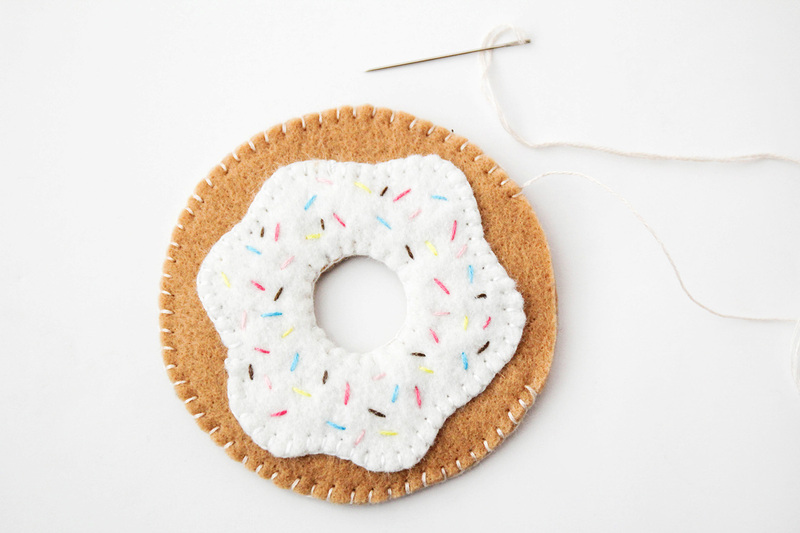 Next, you'll start sewing the sprinkles to the frosting piece. I used three strands of embroidery floss, and just did straight stitches at random. When you've finished your first color, tie it off, and start again with a new color. We did pink, dark pink, yellow, blue, and brown sprinkles, but again, you can use whatever colors you like. The back will be a hot mess, but it will be totally hidden in the finished product. No worries! Next, stack your two donut pieces together and line up the frosting piece on top. 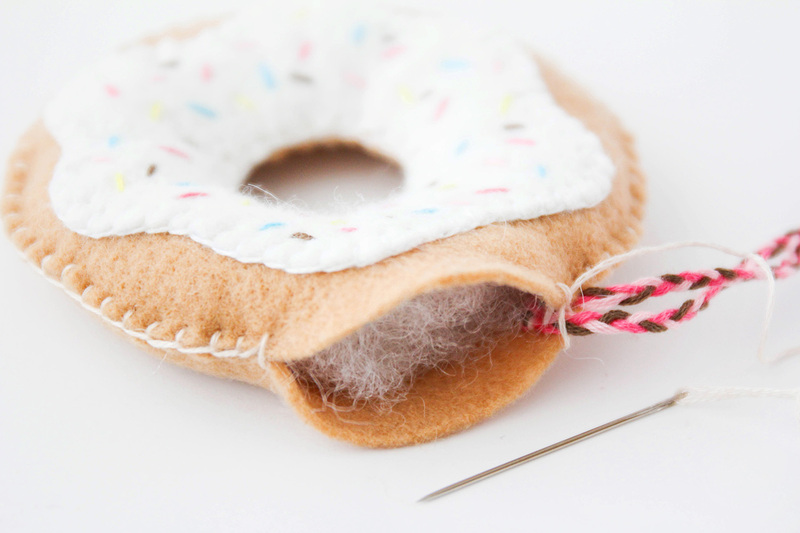 Blanket stitch around all three layers of the inside of the donut using three strands of embroidery floss. 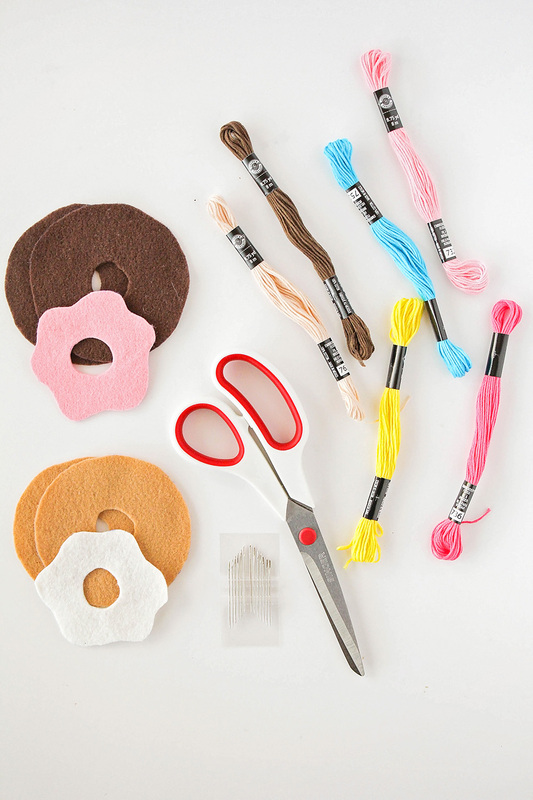 If you're not familiar with blanket stitching, no worries! It's super easy (both my ten year old and my six year old can do it) and here is an excellent video tutorial. Once you've stitched all the way around the middle, tie off your thread. The next step is to attach the outside edge of your frosting to the top donut piece. You'll use the blanket stitch again, but this time as an applique. It's very similar to what you did in the middle of the donut, but here's another great video tutorial to help you if you get stuck. 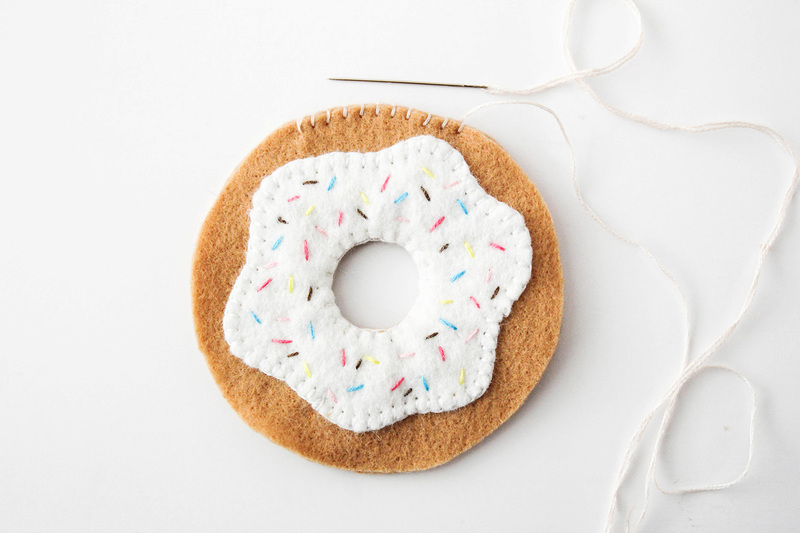 Make sure that you are only stitching through the top layer of the donut, so there's room to stuff the donut later. Stop when you're about an inch and a half away from where you started, so you have room to stuff it. 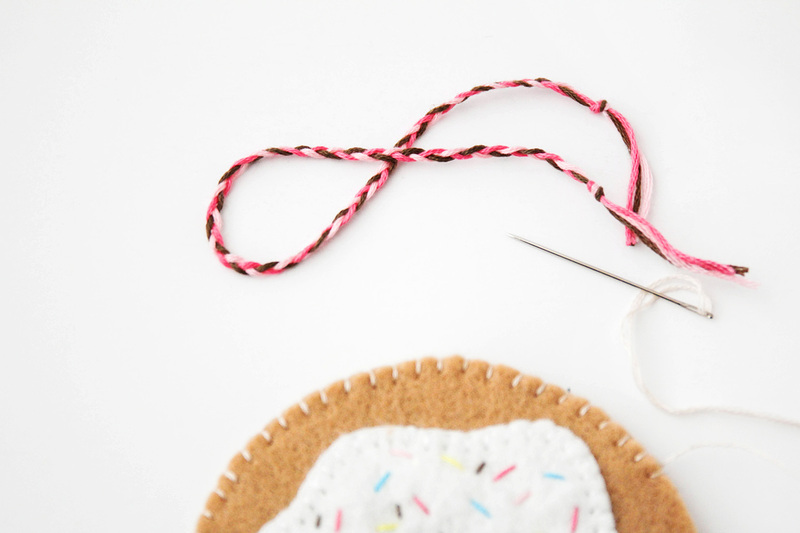 You can use ribbon to hang your ornament if you want things to be a little bit easier, or you can make a braided ornament hanger loop like I did. I just used three full pieces of embroidery floss, tied a knot at the end, and braided them together. My finished braid was about seven inches long. Tie a knot at the other end when you're finished, and you're all set! 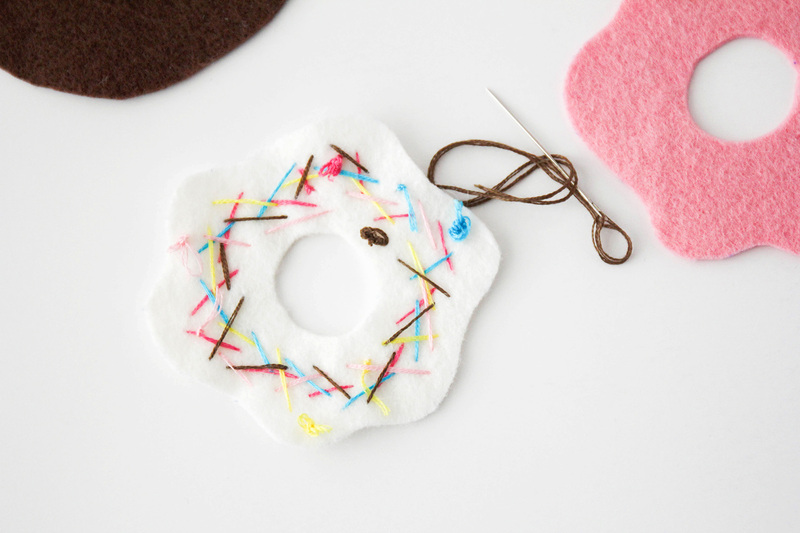 Sew the ornament hanger into place with a few quick stitches to keep it secure. Next, stuff your ornament! It's better not to overstuff it, or it will be weird and bulgy. 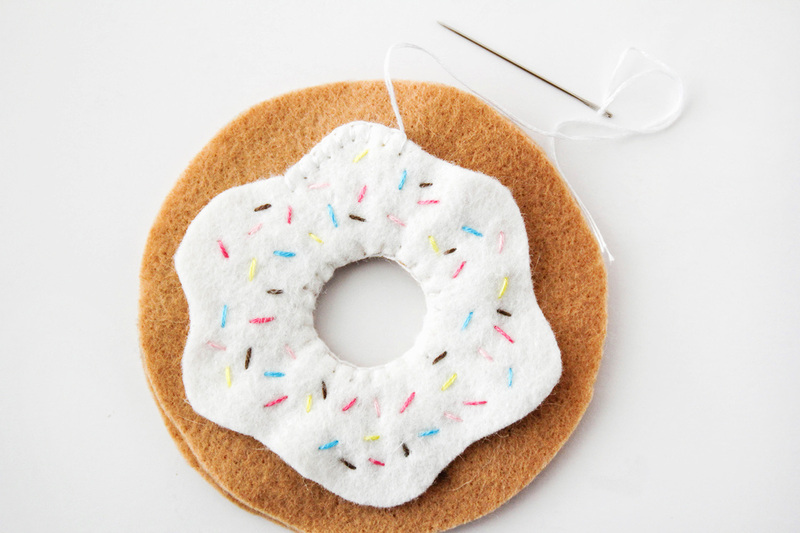 You can use a knitting needle or chopstick to shove the stuffing into the far side of the donut. When it's all stuffed, finish blanket stitching the opening closed, and you're all set! Seriously, how cute are these ornaments? They're so fun to make, too! 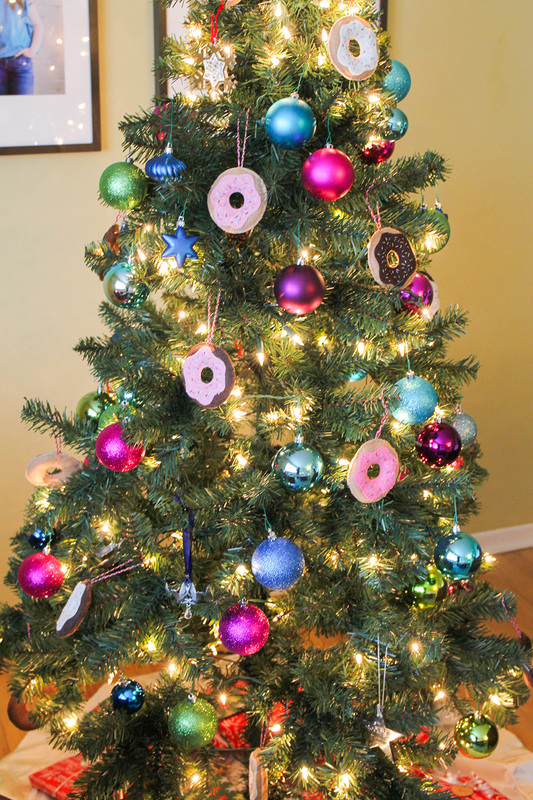 I'm definitely not winning any awards for my tree decorating (and my kids are obviously not great at evenly spacing the ornaments), but these donuts look so cute on the actual tree! 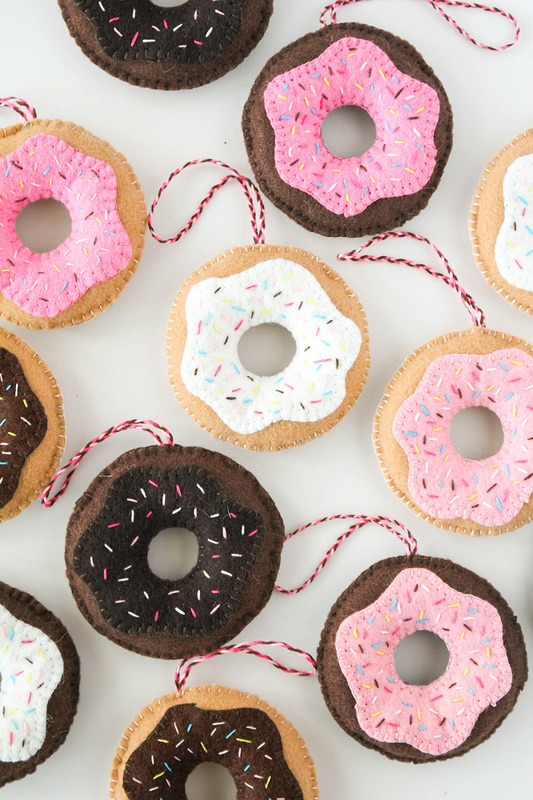 These donut ornaments are the perfect fun way to brighten up your tree this year!